In today’s dynamic market place, Industrial automation solutions are evolving rapidly. Buyers from myriad industries are continuously demanding innovative and productive solutions with minimal ownership costs. Arista Corporation delivers complete automation solutions including Industrial Panel PCs and displays. The complete range is designed for a smart, safe and sustainable manufacturing. For industries like biotechnology, pharmaceuticals, life sciences, research, and medical; automation solutions should meet the regulations and environmental controls. 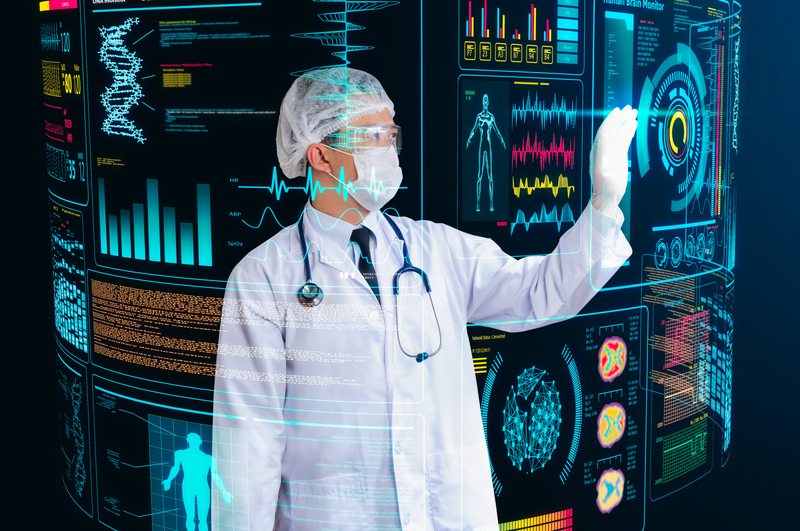 With years of experience in manufacturing and delivering innovative applications, Arista touch displays/ monitors and video extender range is designed to be used in regulated areas like pharmaceuticals. Make the right choice: Arista’s safe and reliable automation solutions are available as standalone or panel-mount units, the overall systems are easy to install use and maintain. Arista’s industrial workstations are customized specifically to meet industry regulations. Touch screens with multi-touch functionality can be installed easily along with an ergonomically adjusting option for the ease of operation. Industries like pharmaceuticals have very high requirements regarding cleanliness and sanitization. Hence they require specialized manufacturing techniques to apply in machines/products. 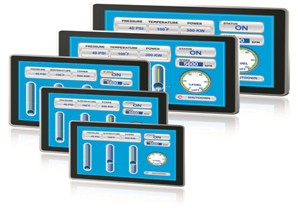 Arista control panels and panel PCs embeds stainless-steel housing with flush mounted touch-screens. These also feature multi-touch operation with an extra protection layer. Touch panels replace the keyboards and can be panel mounted; the multi-touch gestures allow operators to increase usability and accuracy. The ARP-3800AP-E01 series of panel mount PCs is designed to give excellent visibility, wider viewing angles even in harsh lighting. The firmware offers several multi-touch gestures including pinch-to zoon, swipe, and drag/drop functionality. Considering the regulations of pharmaceuticals and other similar industries, the entire series is rated to NEMA4 and IP65 standard. The front panel is made with hard coated display surface and is splash/wash-down resistance against various chemicals, like ethanol and sodium hydroxide. Arista industrial monitors embed features that offer reliable options and durability in harsh working environment. Manufactured with industrial grade complete, the panel PCs range is available for general use or at Class1/Div.2 hazardous locations. The panel mount units are and fully sealed TPC, ARP-2200AP-G00 and ARP-5500AX-G00 Series, designed for use in environments where the existence of flammable gases or vapors and/or combustible dust may be presence in the air. Arista Corporation provides services globally, with offices in China, Taiwan, India and USA. Our website https://www.goarista.com/ provides detailed information about products, parts, technical support or any query. Contact sales@goarista.com or support@goarista.com for any information, you can also call us at 1.877.827.4782 Monday through Friday PST 8:00am to 5:00pm to speak to our staff. With years of experience and expertise in Industrial Panel PCs, Industrial Monitors, Box PCs & Fanless Embedded Computers, Rack Mount Computers, ACP Thin Manager Ready Thin Clients, Embedded CPU Boards and Video Extender/Switches. Arista has served customers with reliability, Integrity and Trust.